The 150th Anniversary of the laying of the foundation stone of the Wallace Monument was celebrated at a ceremony hosted by the Wallace Monument Committee and Stirling Council on Friday 24th June 2011. Grand Lodge and the Lodges in the Stirling area played a significant role in the laying of the foundation stone in 1861. Brother Tom McDonald P.M., Lodge Abercromby No. 531 represented Provincial Grand Lodge at the ceremony. He received a framed certificate and commemorative medal which he presented to the Right Worshipful Provincial Grand Master at the Regular Communication of Provincial Grand Lodge held on Thursday 27th October 2011 in Lodge St. John Tulliallan No. 598. 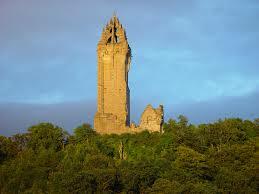 For further details of the link to Wallace Monument click here.